AFB is seeking a seasoned major gift professional to serve as its Associate Director of Major Gifts. The successful candidate will be responsible for securing financial resources through strategic and effective donor relations, managing major gift-level portfolios and securing planned and estate gifts. This position reports to AFB’s Director of Development. The position is based in Arlington, VA, but a New York City-based position may be considered. In collaboration with the Director of Development, formulate annual plans with measurable, aggressive goals to increase major and planned giving income aligned with AFB’s strategic plan. Design and implement a cultivation and stewardship plan that is executed in partnership with AFB leadership. Achieve budgeted net results. Manage, grow, and strategically engage an active portfolio of major gift donors and prospects, using prospect research data and other research and donor stewardship strategies. 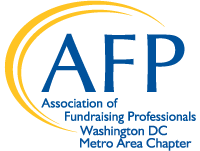 Provide strategies, coaching, and support to the President & CEO, key volunteers, and others for prospect and donor cultivation and solicitation visits. Oversee and grow AFB’s planned giving program, including the Helen Keller Society. Research, identify, and cultivate planned giving prospects. Actively manage a prospect pool in addition to managing the administration of realized gifts. Manage bequest and trust processing and monitor restricted and endowed funds from planned gifts. Work with Resource Development Coordinator to ensure timely, accurate processing of planned giving paperwork. Serve as liaison to estate professionals, financial institutions and AFB’s attorneys. Collaborate with resource development colleagues and AFB program staff to understand funding needs, align efforts, and develop cross-departmental strategies to achieve funding requirements. Design and manage cultivation and stewardship events and other activities relating to building strong donor relationships. Contribute feedback and ideas to all aspects of development communications, including marketing, promotion, solicitations, mailings, inquiries and donor recognition programs. Supervises two Major Gift Specialists, adhering to AFB’s policies and practices regarding recruitment and orientation; communicating expectations, policies, information, goals, mission, and strategy; supporting staff in areas of job responsibilities, problem resolution, and benefits; identifying professional development opportunities; ensuring policies and procedure compliance; and addressing areas requiring improvement and opportunities for rewards and recognition. Execute various administrative responsibilities, including develop and implement departmental performance plan objectives and budgets, ensure timely and accurate reporting on donations/donors, utilize the donor relationship management program to track relationships and contacts in support of fundraising strategies within the major gifts and planned giving portfolio; and ensure adherence to audit requirements regarding restricted and special gifts. Undergraduate degree, CFRE designation (strongly) preferred. Minimum of 5-8 years of successful hands-on experience in cultivation and solicitation of major and planned gift donors and prospects, including thorough knowledge of planned giving vehicles and related regulations. Strong oral communication, written communication, and presentation skills. Excellent organizational and people skills, including supervisory experience. The ability to maintain accountability and to work independently and creatively, while functioning as part of a cooperative and coordinated team. Adaptable and flexible to shifting opportunities, priorities, and needs.